Thank you Allison. Most kind. I am sure we will make a few minor errors, we are only human but yes your logic is spot on. Great Gavin! We think it's a great move to let people see all of your minis in one place. Thanks and great to hear from you Modelbrush. I hope all is well with you. Are the Ion Age products moving over too? As an US customer, It would be great to have everything on one shopping system for me to minimize shipping. They are not. 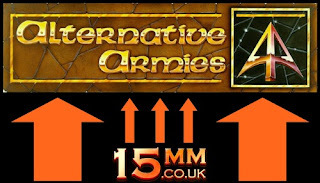 We will have two websites Alternative Armies and The Ion Age. However both sites will have major promotions at the same time such as free shipping and will advertise this at the correct times. 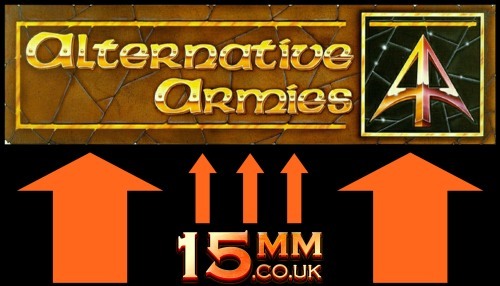 Bought miniatures from both 15mm.co.uk and Ion Age, never heard of Alternative Armies - good thing you merge those :). Thanks for your comments. :-) There are now links in the above posting plus the one on the website leading here.